This is a fireplace that we completed recently. 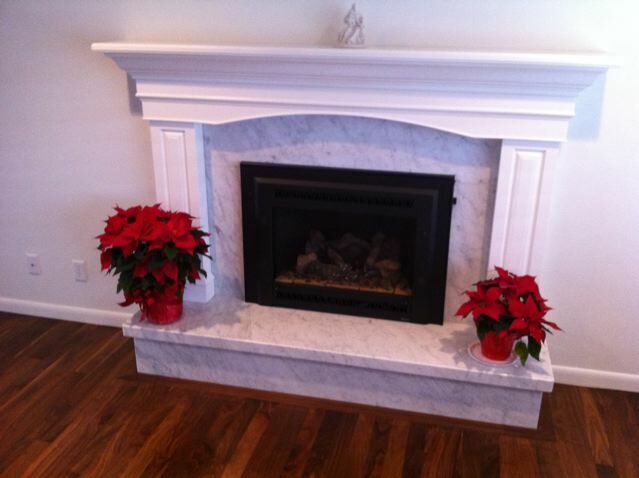 The homeowner selected some beautiful 2 cm Carrara marble that we had in our yard. We did a Mitered edge detail on the hearth that overlapped the skirt. I love how clean it looks, it's a really pretty fireplace.